Milkshake Makers are the quickest and most effective method of producing delicious milkshakes of varying thickness. 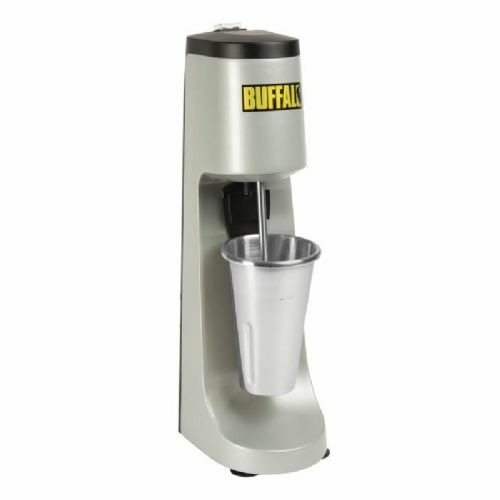 Equally as useful for blending together other mixed drinks, these machines are valuable assets for diners, bars, ice cream parlours and milkshake outlets. Our milkshake blenders come in varieties with up to three mixer heads to satisfy even the highest commercial demand. Other features throughout our range include Saturn beaters to create extra fluffy shakes, variable speeds, pulse settings and near silent motors. Supplied with 1 stainless steel malt cup, 1 polycarbonate malt cup, 2 stainless steel mixing disks and 4 polycarbonate mixing disks.